Perhaps because it used to be a school, the Assemble office has a jovial, almost improvised feel to it. The space matches the radically democratic approach of this collective working across architecture, art, and design. As soon as Joe Halligan opens the door to the studio, two of his colleagues head into the communal kitchen and put a coffee pot on the hob: necessary fuel for the working practice of the young firm and their multidisciplinary projects. This space, in Bermondsey, is their second-ever office, after they had set up shop and re-designed their inaugural one in Stratford, and then left when the lease expired. It was intentional: they take up five-year leases, give new uses to the space, and then move on. As a result, Assemble is not your usual sleek, pared back, all-white architecture office. The bathrooms still look like school bathrooms, and the former swimming pool has been turned into a skeleton structure made with columns, beams, and no walls, which they rent out to other makers who can customize the space. “It’s up to the tenants to decide how much they want to do, and for how many years,” Halligan says. “This way we keep rents as low as possible.” There is also a high-ceiling workshop where they have made tiles, furniture and a mock-up of the facade of their Goldsmiths CCA project—where Halligan’s colleagues walk around in personalized overalls, with “Assemble” written on one side of the chest and their names on the other. Joe Halligan will be part of The Sooner Now Berlin on October 13, where he will discuss his vision for more democratic future cities where public engagement is key. Learn more about the event series that is part of our ongoing collaboration with MINI at the end of this article. A zinc passivated steel chair designed by Assemble for the cafe of the Goldsmiths Centre for Contemporary Art. The collective started without quite knowing it was starting. In 2010, a group of 18 friends—mostly architecture classmates from Cambridge—decided to join forces and work, in the evenings and weekends, on a self-built temporary cinema in a disused petrol station in Clerkenwell. “We wanted to investigate making stuff again, and we were kind of bored sitting in architecture offices, we wanted to get our hands dirty, engage with the city and work out how you build stuff.” Since the Cineroleum, they have amassed an impressively diverse body of work, from Brutalist playgrounds to traveling exhibitions via affordable housing. The calculatedly disheveled atmosphere of their office isn’t just a front. 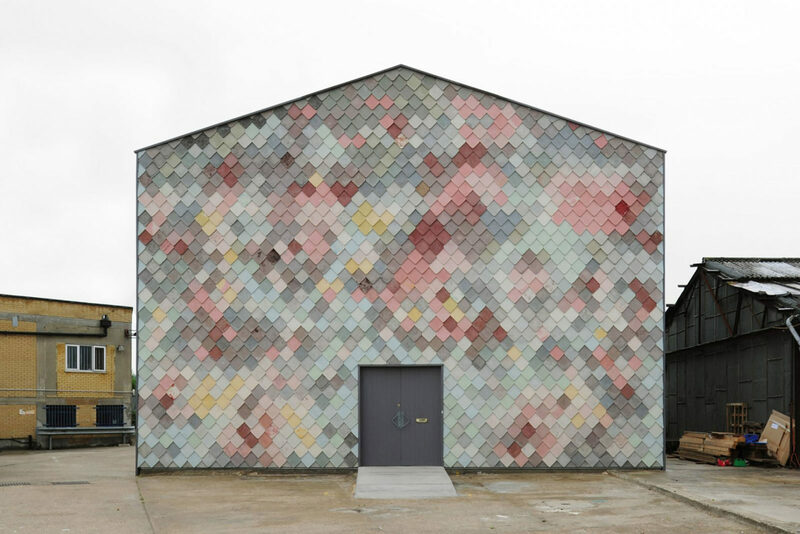 Assemble’s horizontal, co-operative approach to working, as well as their blending of architecture, design, and art, has got them much attention, not just because it’s different to traditional architecture practices, but because it works: the group won the Turner Prize in 2015—making them the first architects, and the first collective, not to mention the youngest to ever win it. The most bureaucratic part of their structure used to be the careful lunch rota on the wall—the more you eat in the office, the more you have to cook. There are still no bosses and everyone can veto (for each potential new project “there is a temperature reading in our thursday meetings”) but, post-award, the firm has become a bit more structured, as they have a rolling management group in which five members run things from incoming work to HR, rotating these tasks every three months. The project for which they won the Turner Prize was the ongoing Granby Four Streets, a community-led project to rebuild Granby, a Liverpool neighborhood that was nearly made derelict by decades of poorly-planned regeneration initiatives. Only four streets were left, and their remaining residents, fed up of living among precarious buildings, got organized and saved the houses from demolition. After a spectacular self-made effort of clearing, painting, and planting they then enlisted Assemble to help refurbish ten of them and carefully plan the whole neighborhood preserving its cultural heritage. They also set up a workshop in which they work with residents to handmake products like bathroom tiles or door handles—first for the houses and later commissioned and distributed worldwide. With more than half of the human population now living in cities and yet more wanting to move to them, Halligan sees mass development and expansion as the biggest urban challenge for the future. “When you have this speed of development to accommodate [everyone wanting to live in cities], it seems extremely difficult to understand how we can create the types of city which I think are really good, which are cities that have a complexity, layers of history, some kind of uniqueness and people who’ve lived there for a long time,” he explains. With property becoming a commodity like it has in London, he adds, cities are becoming “much more elitist: there’s only one type person who can afford to live there, which means cities are not as good.” It is difficult for architects to stop this: given property is a financial tool, developers have no interest in making good or durable buildings, but instead on building as quickly as possible to sell as quickly as possible. His hope is that people will engage more with their environment: “architects and the public have to become the developers,” he says, noting the Liverpool project. “Granby is going to be a much better neighborhood to live in than any of the developments that you see in London. 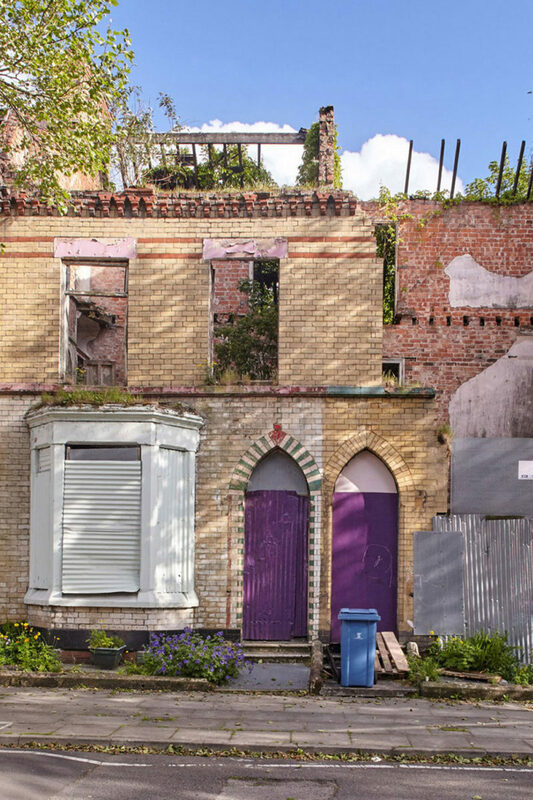 But it could only happen there because those houses cost £1.” This symbolic monetary gesture ensured buyers for the neglected neighborhood in order to regenerate—in London neighborhoods are unlikely to be left derelict as they’re simply too valuable to developers. 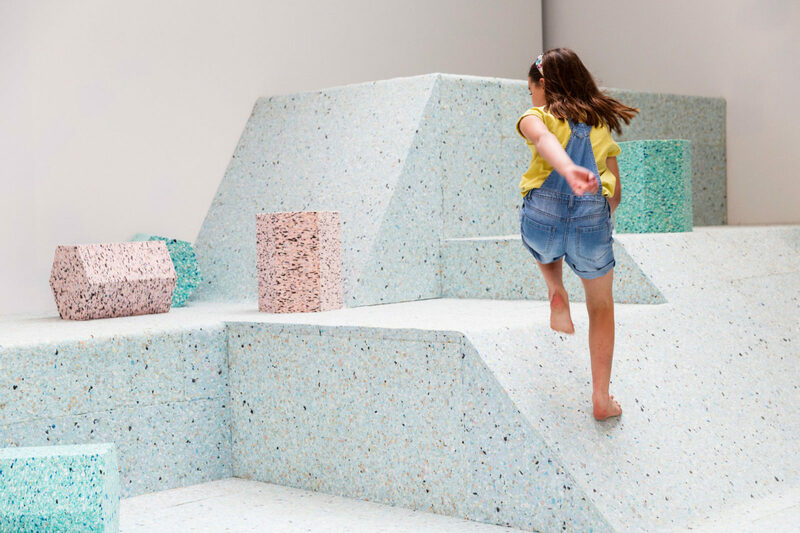 The Brutalist Playground, 2015: Assemble worked in collaboration with artist Simon Terrill to design an immersive installation that recreated a trio of post-war play structures out of foam. Yardhouse, 2012–14: Yardhouse was an affordable workspace building in Sugarhouse Yard in Stratford. The pilot for the provision of new creative workspaces in the Olympic Park was funded by the London Legacy Development Corporation. 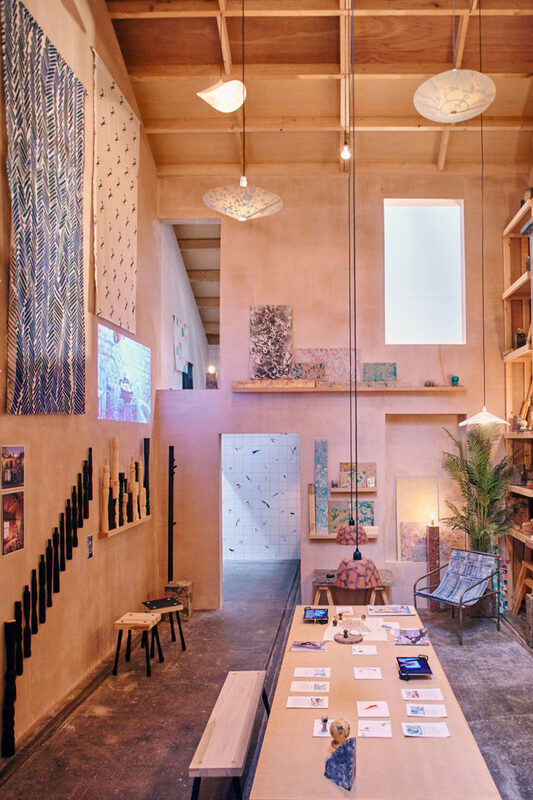 Turner Prize Exhibition, 2015: Assemble's contribution was a showroom to present Granby Workshop to a wider public. Granby Four Streets, 2013: The ongoing community-led project breathes new life into Granby Street, a once a lively high street at the center of Liverpool’s most racially and ethnically diverse community. The demolition of all but four Victorian terraces during decades of regeneration initiatives saw a once thriving community scattered. Assemble is a multi-disciplinary collective working across architecture, design, and art that champions an interdependent and collaborative working practice seeking to actively involve the public as both participant and collaborator in the on-going realization of the work. Their projects include Granby Four Streets and the Goldsmith Centre for Contemporary Art, among many others. Joe Halligan will speak at The Sooner Now Berlin about hidden opportunities in urban environments and how the public can actively engage in their future. The Sooner Now is a joint initiative by FvF and MINI fostering collective imaginations of urban futures. This year, the long-standing collaboration is supported by urban design magazine IDEAT. After two years of forward-thinking conversations, the event series returns to Berlin on October 13 to examine urban utopias then and now. Together with an eclectic cast of innovators—architects, designers, technologists, journalists, policy makers—we share inspiring ideas in a day-long program of dialogue, experiment, and play.